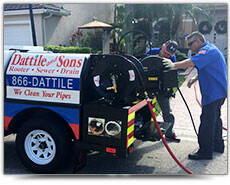 Ensure a 24/7 rapid response when you have a drain or sewer issue in Broward or Palm Beach County, and speak with the drain and sewer experts at Dattile & Sons Plumbing. A family-owned business since 1972, we've serviced thousands of drains and sewers and have the experience to help you today. 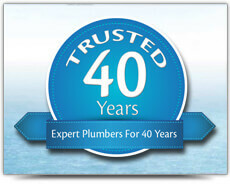 One of our plumbing experts can be with you fast, 24/7 for a rapid resolution to your drain or sewer issues. We'll arrive on-time and as quickly as today to assess and start your repairs. 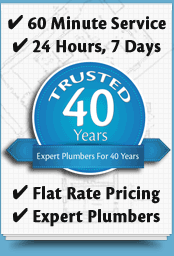 We combine over 40 years of plumbing expertise with precision drain and sewer technology to reduce your service times and save you money. Our specialist equipment includes drain inspection cameras to locate the issue accurately and quickly and rooter machines that will clear any blockage fast. 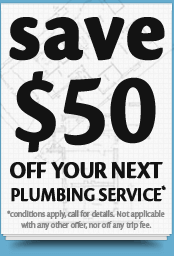 With something as serious as drain and sewer work you'll appreciate being provided with a complete “Per Job” price before work begins – and the price remains the same even if the work takes longer than anticipated. 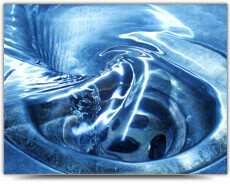 For a fast and economical way to unblock and clean your drain or sewer consider our hydro-jetting service. Hydro-jetting uses a high-powered jet of water to clean the full length of your pipes and sewers and is incredibly efficient at removing all blockages. 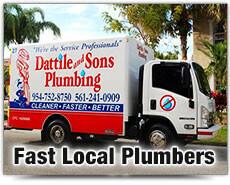 If tree roots have caused damage to your drains or sewers you can rely on Dattile & Sons Plumbing for a fast solution. Our expert plumbers use drain inspection cameras and specialist rooter machines to remove the roots and can repair any damage they may have caused. We'll even assist with preventative solutions. 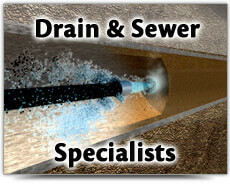 If your sewer is cracked or leaking, we can provide cost-effective repair options including partial and full sewer-line replacements. 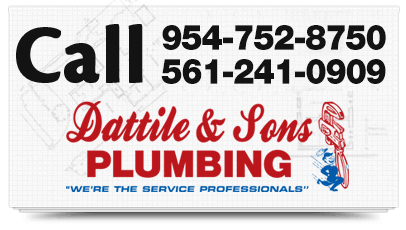 With over 40 years experience and being fully licensed and insured, you'll gain great reassurance hiring Dattile & Sons for all your drain and sewer work. 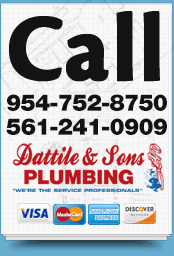 For your drain and sewer emergency repairs and solutions in Broward and Palm Beach Counties, call and speak with the experts at Dattile & Sons Plumbing today.